Both Michigan natives, Brian and Betsy Timmer moved to Lawrence in 2005 so Betsy could enter the Master of Fine Arts program at the University of Kansas. Over a decade later, with two college degrees, great local friends and colleagues, two kids, a house, and now a gallery, they are both happy to call Lawrence home. With a Bachelors of Fine Art in painting and a Masters of Divinity in theology, Brian has a unique, cross-disciplinary education. His diverse interests are reflected through a quest to preserve raw creative expression while exploring themes that range from the mundane to the complex--all with the intent of exposing human purpose and meaning. 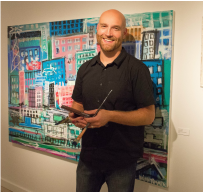 While Brian's representational works seek to capture and simply celebrate the grandeur of the natural world, his more abstract creations simultaneously celebrate and grieve everyday experiences. Brian is actively planning new commissions. If you would like to a more information about this aspect of his work, please send him a message. View his personal website and online store here. Betsy received her MFA from the University of Kansas (2008) and her BFA from Western Michigan University (2003). Betsy's mixed media work has been exhibited across the country in venues such as the Coburn Gallery at Ashland University in Ashland, Ohio, the Olin Gallery at Washington & Jefferson College in Washington, Pennsylvania, the Mary Brogan Museum of Art & Science in Tallahassee, Florida, and the Grand Rapids Museum of Art in Grand Rapids, Michigan. In her work, Betsy observes and investigates relationships, motivations, priorities, and passing time. Using her own experiences as fuel, she gives form to her ideas by combining and manipulating everyday objects, most often textiles and domestic "debris." 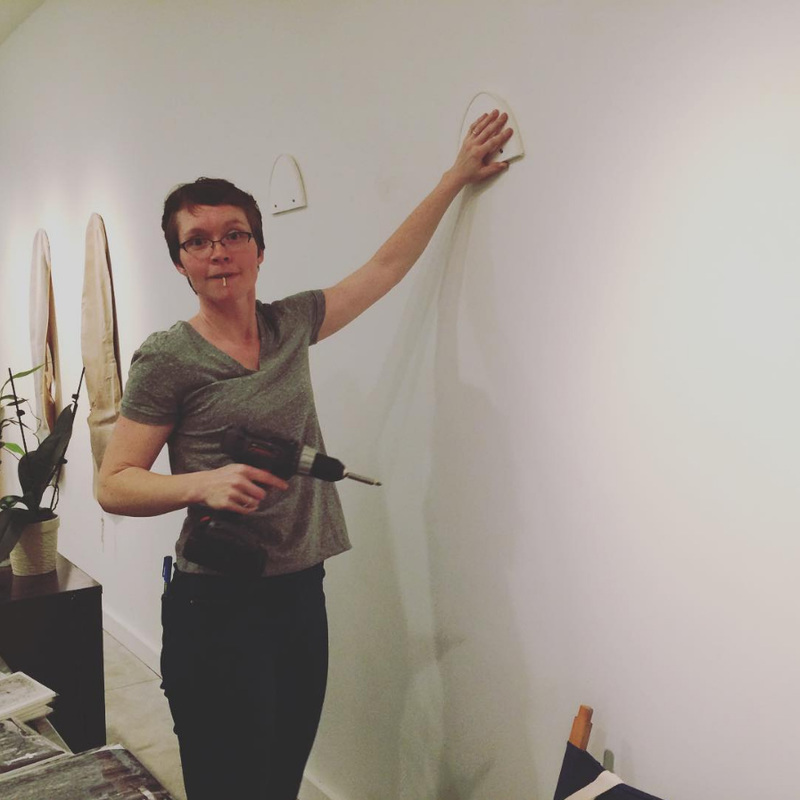 Besides working as a studio artist, Betsy is an art instructor and a graphic designer. ​She likes to garden, go to estate sales, do yoga, read, and drink lots and lots of Irish breakfast tea. Join our mailing list and we'll be sure to let you know about special events, workshops, openings, sales and more.